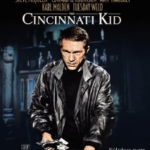 Question: What was there to do in Cleveland before the Rock N’ Roll Hall of Fame was built? Answer: Um… wait for the Rock N’ Roll Hall of Fame to be built…? Well, aside from that fantastic tourist attraction, as of 2 days ago there’s something else really fun to do if you’re in Cleveland: gamble! Ohio has just become the nation’s 23rd state with a commercial casino. Almost 100,000 square feet of gaming floor await casino patrons 24/7. Located right in the heart of downtown’s Public Square and built at a cost of about $350 million, the Horseshoe Cleveland is minority-owned by Caesars Entertainment and majority-owned by Rock Gaming’s Dan Gilbert, who also owns the NBA’s Cleveland Cavaliers. 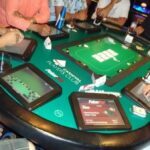 With upwards of 2,100 slot machines and over 5 dozen table games, the new casino sure doesn’t disappoint, but what really interests us at Cardplayer Lifestyle is poker, and the Horseshoe Cleveland delivers! 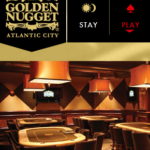 A 30-table World Series of Poker-branded poker room has begun catering to masses of visitors. Since the room opened, all 30 tables have been packed to the gills at almost all hours of the day. Aside from Texas Hold’em, the dealers have spread Omaha Eight or Better and Pot Limit Omaha. Stud games and Razz are also available, if there’s enough interest. 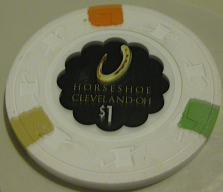 To reach the Horseshoe Casino Cleveland poker room directly, call: 216-297-4545.